This was probably the old guy across the tracks with his snow blower trying to help out. There is no way a entity such as go would do such a poor job. The 80 year old woman on our street did a better job with a shovel on her driveway. The station at Bramalea was similar i.e. One long lane (but we still couldn't see the platform). And there were 3 men stood together with shovels talking and laughing at 6:30pm. No effort to remove any snow. Who's paying them to not work? Mimico station was also an accident waiting to happen. Seems GO is slacking this year. I gotta say that Appleby was fine, we have those fancy heated platforms. Also I was very pleasantly surprised to find that the bus station (I walk through heading to the east team way on bay) was cleared and salted and there were employees keeping up with the continuing snow. I've emailed GO on Thursday and have yet to hear back from them. I was at Newmarket platform for the first train - there was a CSA there and I asked him if they would be shoveling...his response, "we just can't stay on top of it". I told him that one way to try and stay on top of it would be to actually have someone there with a plow or a shovel. What's really bad is when someone "has to" ride their bicycle on the platform as well. They didn't even try. They should have also put down a layer of salt. 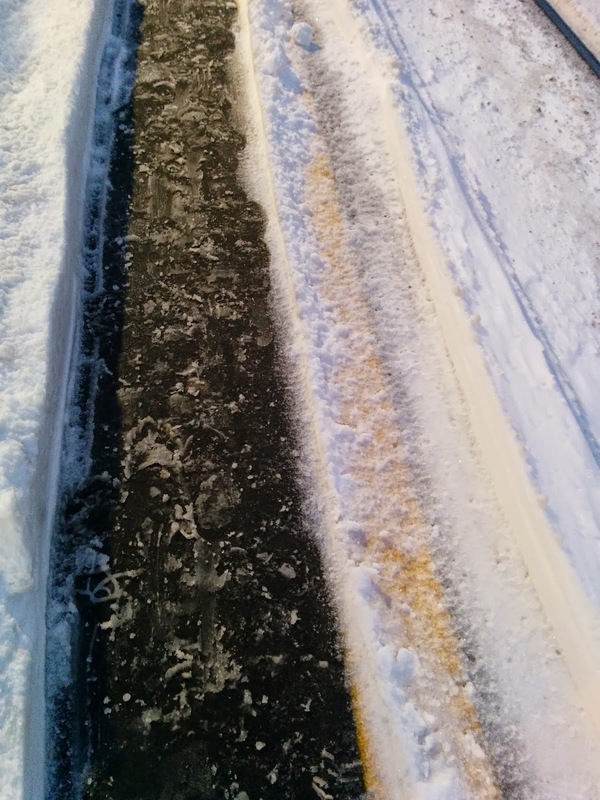 Aurora station was terrible too - one small strip cleared, right beside the yellow line. People were slipping and sliding all over, same in the parking lot. And a crew of trucks and plows sitting idling. They didn't seem to want to do anything until the snow stopped falling.